A beautiful slim fit mens dress shirt. Heavyweight fabric. Only created three made in each size. Beautifully stitched, French seam sides and sleeves, anti rip triangle at hem sides. The best heavyweight Egyptian cotton. Men's shirt mint green black geometric print, different print inside collar, cuffs. Long sleeves. Super soft 100% Light weight cotton. 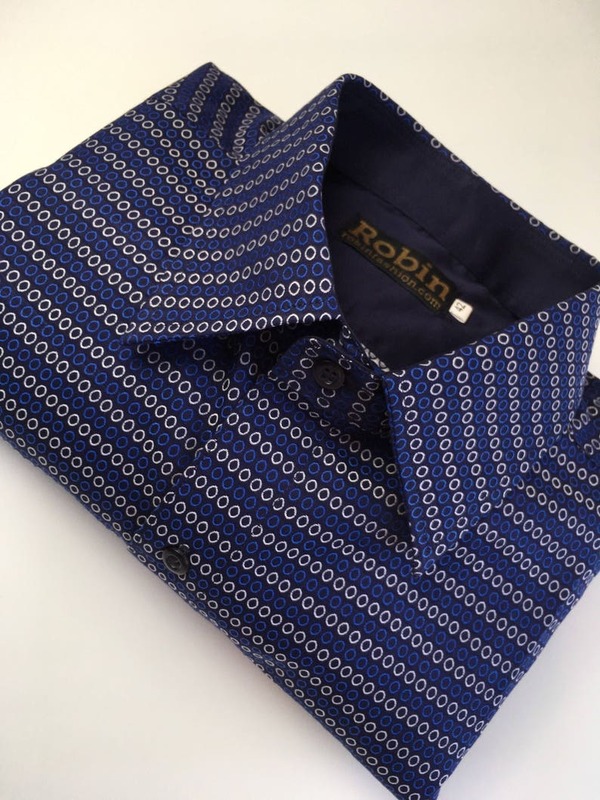 SALE Men's shirt blue geometric print on cotton with block colour inside collar, cuffs. long sleeves. SALE Men's shirt pink geometric print on cotton with block colour inside collar, cuffs. long sleeves. Men's shirt flower print on cotton with block colour inside collar, cuffs. long sleeves 3 made only.